Woocommerce wallet system plugin allows customers to pay with digital wallet for purchasing products from Woocommerce store. Customer can add their money in digital wallet. Admin can refund order amount in wallet. Customer can see transaction history of the wallet. This wallet system has option to set wallet payment method title and payment method description. Admin can enable or disable Woocommerce wallet system plugin. Administrator can refund order amount in wallet. Admin can enable or disable cash back amount. From the plugin settings administrator can set cash back type flat and percent. Admin can set maximum eligibility amount, cash back amount and maximum cash back amount. Customer can add their money in wallet using various payment methods. Customer can see wallet transaction history. 1. Can I Recharge using any payment method? Ans. Yes, you can recharge using any payment method available on your website. 2. Does this plugin support partially payment via wallet? Ans. 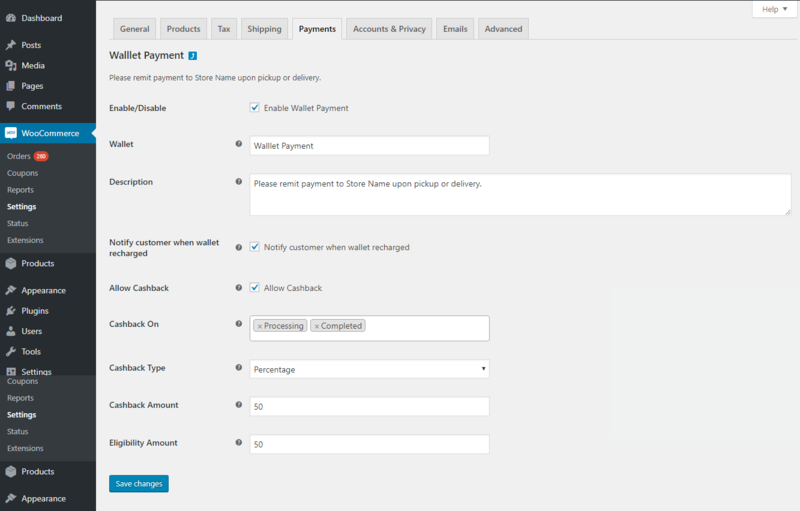 Yes, this woocommerce wallet payment plugin support partially payment via wallet. 3. Can admin set minimum amount for cashback eligibility? Ans. Yes, admin can set minimum cart amount for cashback eligibility. 4. is there any flat cashback setting option for admin? Ans. Yes, there is an option to set flat or percentage base cashback rule settings for admin. Dear Buyer, if you have any query, please raise a ticket at https://support.crevolsoft.com/. We will resolve your query as soon as possible. Please Don’t give us a low rating without contacting our support on the issue you have faced with. We are always here for your support and always happy to help you.